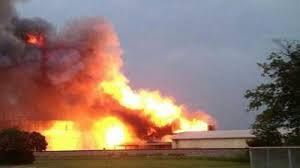 There has been a massive explosion at a fertilizer plant in West, Texas, just north of Waco. The photograph above was taken of the mushroom cloud coming from the explosion. Enki writes: "Note the Sonic Drive-In sign to the left. Recall that Blaec Lammers, the would-be Twilight shooter, was apprehended at a Sonic Drive-in." 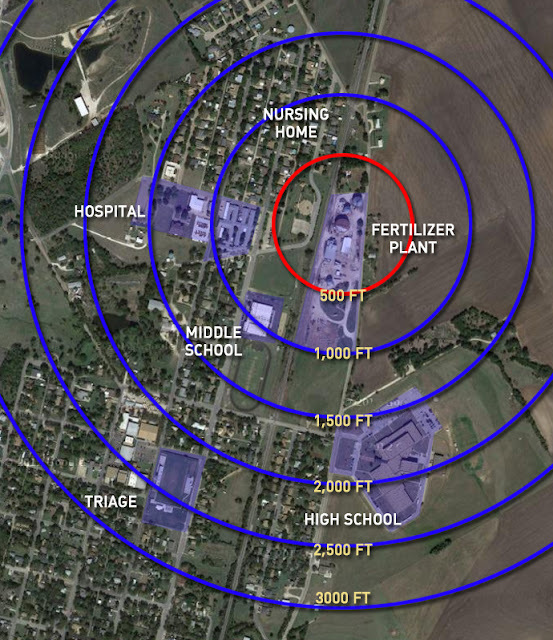 Since fertilizer was one of the compounds of the Murrah Building/Oklahoma City bombing, this event has brought to mind many links. 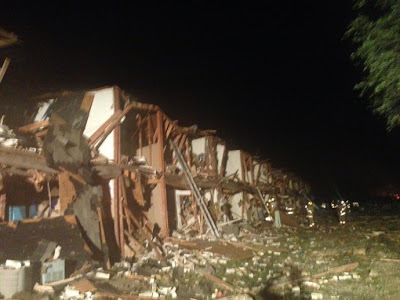 As Enki also notes, "The explosion took place at 1471 Jerry Mashek Drive. Mashek means descendant of Thomas (twin). Elvis Presley had a twin brother who died at birth, and the suspect in the mailing of ricin-laced letters to Senator Wicker, Paul Kevin Curtis, was in an Elvis tribute act with his brother." Images above are from Waco, Texas, 1993. 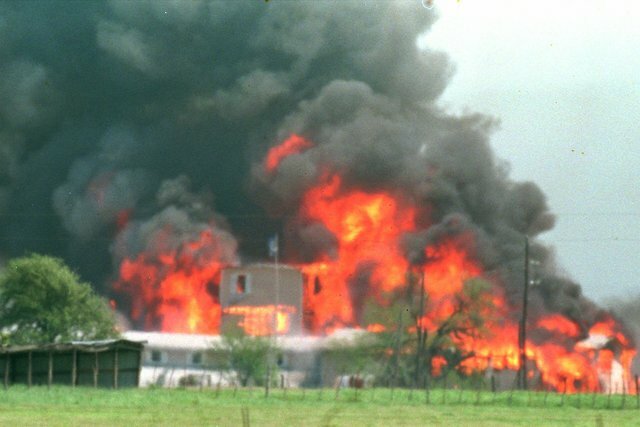 Tomorrow, April 19th, is the 20th anniversary of the end of the siege at the Waco, Texas compound of the Branch Davidians. The Waco siege began on February 28, 1993, when the United States Bureau of Alcohol, Tobacco, and Firearms attempted to execute a search warrant at the Branch Davidian ranch at Mount Carmel, a property located nine miles east-northeast of Waco, Texas. 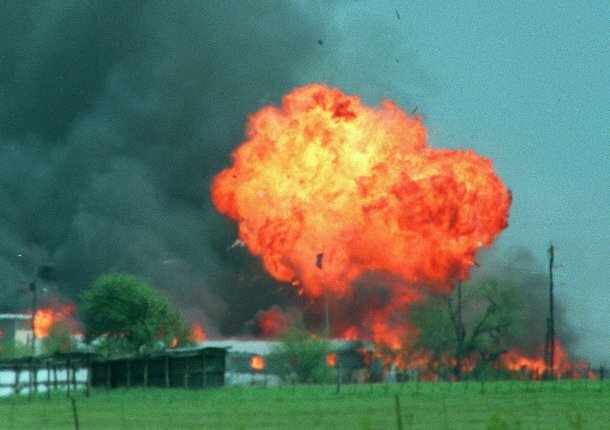 An exchange of gunfire resulted in the deaths of four agents and six followers of David Koresh. A subsequent 51-day siege by the FBI ended on April 19th when fire destroyed the compound. Seventy-six people (24 of them British nationals) died in the fire, including more than 20 children, two pregnant women, and Koresh himself. 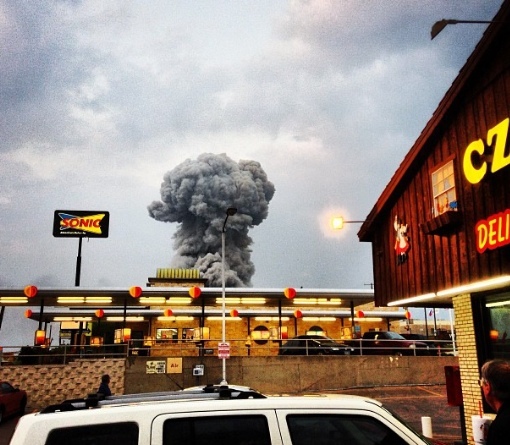 Images above are from West, Texas, 2013. The fertilizer plant explosion, origins unknown, has killed between five and 15 people, according to Sgt. William Patrick Swanton of the nearby Waco Police Department. The death toll is predicted to increase, as reportedly over 60 people are missing. 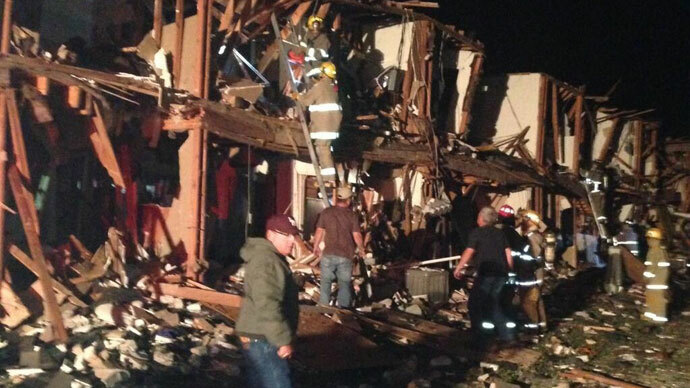 "160 injured in West, Texas. 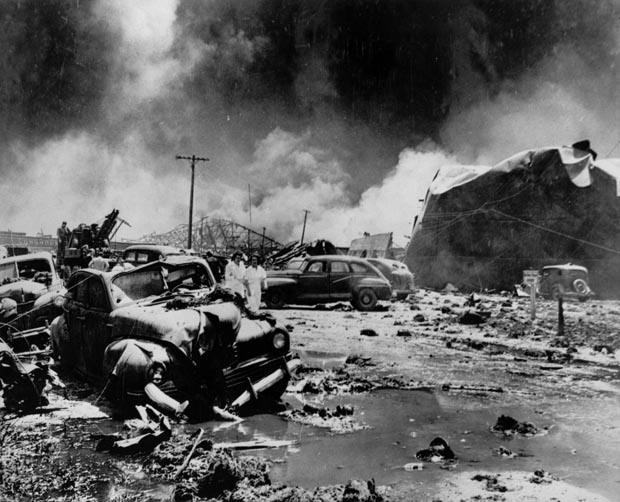 168 killed in OKC bombing," emails editor Andrew W. Griffin, Red Dirt Report. 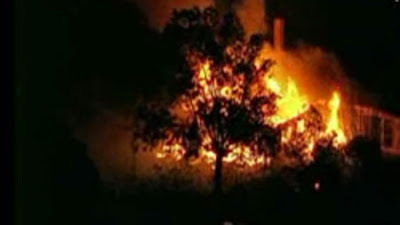 The massive new blast has forced the evacuation of about half of the small town of West. Houses and apartment houses were destroyed. The Wednesday night blast shook houses 50 miles away and measured as a 2.1-magnitude seismic event, according to the United States Geological Survey. Photo at top, credit Andy Bartee. Sonic brings to mind Sonic the Hedgehog. He runs fast, hence the marathon bombing. The whole security system is shutting down. "ma"SONIC as with all fastfood chain logos, the masonic gang signs are flashed.